America's leading CEOs are scaling back plans for hiring and spending because of President Trump's aggressive trade policy. The Business Roundtable said on Tuesday that its CEO economic outlook index declined this quarter from a record high. It was the first drop in two years. The powerful lobby, chaired by JPMorgan Chase (JPM) boss Jamie Dimon, blamed the more cautious attitude on "increased uncertainty" about the direction of US trade policy. Backing up his campaign promises, Trump has attacked existing trade relationships with China, Europe, Canada and Mexico. He has imposed tariffs on close allies and threatened tariffs on China, raising the specter of a costly trade war that would dent economic growth. Sixty-three percent of CEOs polled last month by the Business Roundtable said it was a "serious" risk that foreign trade retaliation would hurt American exports. Another 32% called it a "moderate" risk. 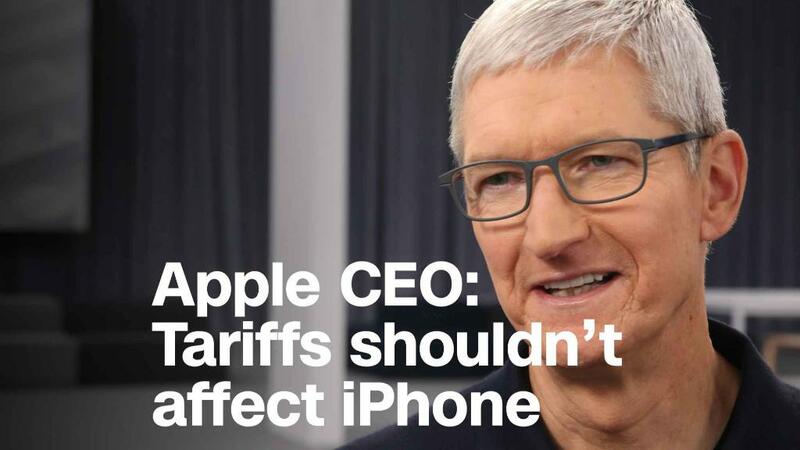 "Trade policy is a large and growing concern affecting CEO decision-making and the economy as a whole," Joshua Bolten, CEO of the Business Roundtable and a former chief of staff to President George W. Bush, told reporters during a conference call. CEOs dialed back their US hiring plans for the next six months by 13% and their business spending expectations by 4%. The outlook for sales also dimmed. The Business Roundtable said that unlike on other issues, Trump and his advisers have so far rejected their advice on trade. "We hope they listen to us, but so far they have not," Dimon said. He said the White House is making a "mistake" by pushing certain changes to NAFTA, such as adding a sunset provision that would make the agreement expire after five years. The JPMorgan CEO said the economic recovery from the Great Recession could last several more years, unless Trump's trade agenda causes serious problems. "One of the flies in the ointment is this trade stuff," Dimon said. "It's not only directly affecting our decisions, but it's creating uncertainty." The more careful tone from business leaders stands in contrast to their extreme optimism when Trump and other Republicans slashed the corporate tax rate and provided a huge break on foreign profits returned to the United States. Although the tax plan has led to skyrocketing stock buybacks and one-time bonuses for millions of employees, economists see little evidence CEOs are accelerating job-creating investments in their companies. The Business Roundtable's CEO outlook index remained strong, and above historical averages for the sixth straight quarter. But it dipped in the second quarter to 111.1 from a record high of 118.6 in the first three months of the year. Related: Trade wars are scary. Why isn't Wall Street freaking out? Worries about a trade war are on the rise. Last week, Trump reversed talk of a truce with Beijing by resuming plans to impose tariffs on $50 billion worth of Chinese goods. The administration, citing national security concerns, also hit close allies Canada, Mexico and the European Union with steel and aluminum tariffs. Eighty-nine percent of CEOs polled by the Business Roundtable worry that Trump's approach to trade will slow the economy. And 90% think his trade stance will lead to higher costs for US businesses. Many companies are already grappling with increased expenses. "It doesn't help US jobs," Howard Schultz, the outgoing executive chairman of Starbucks (SBUX), told CNN's Poppy Harlow last week. "Every time that we have had a conflict of trade and there have been trade wars," Schultz said, "it has resulted in a downturn of the economy of the United States."